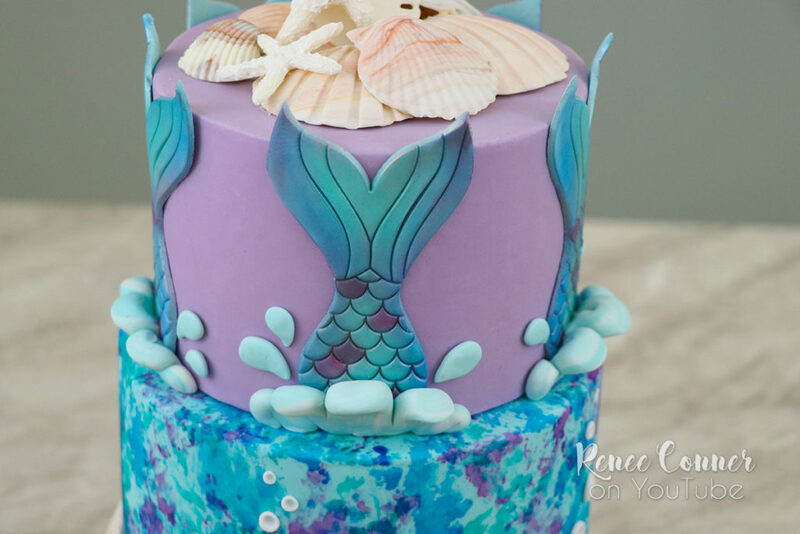 Mermaid themed cakes are an everlasting favorite! 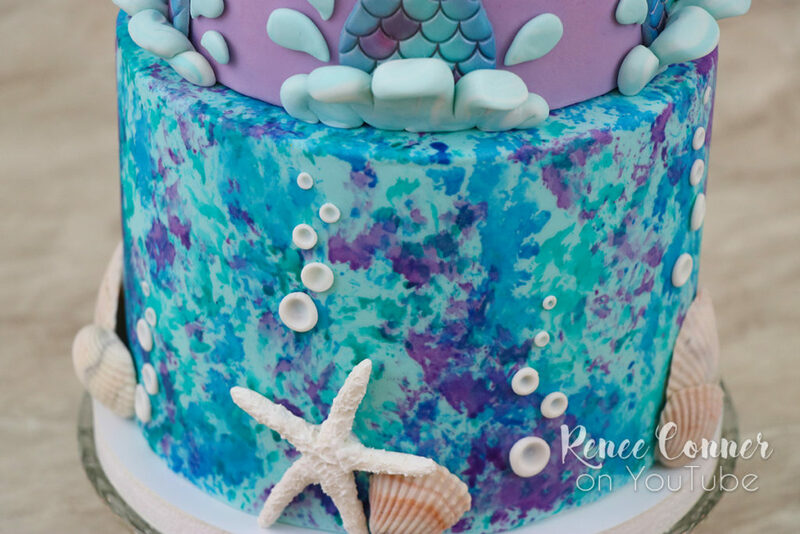 I think it’s the beautiful teal, blue and purple colors and whimsical designs that keep this theme popular. 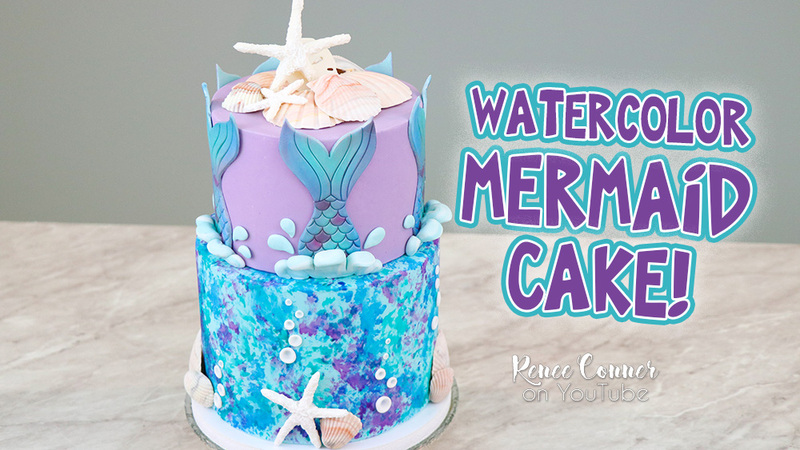 So, of course I couldn’t, not make one! 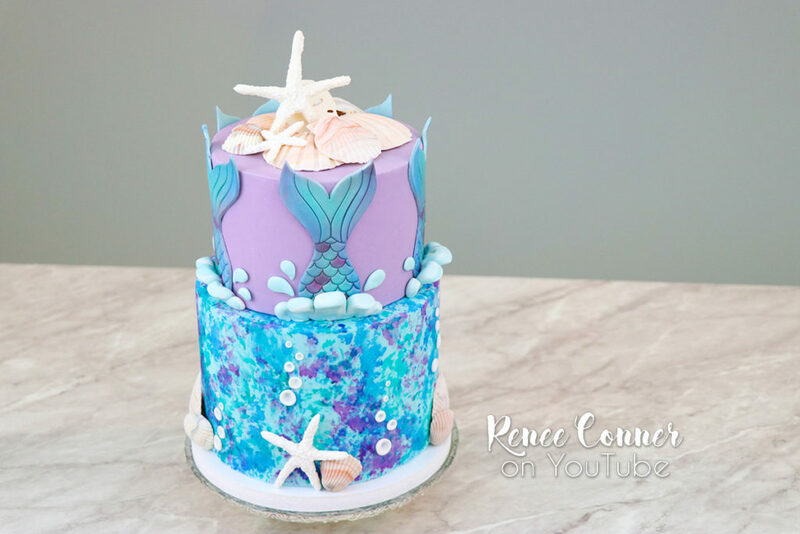 When I thought up this watercolor technique, I thought it would naturally work well with the mermaid theme! 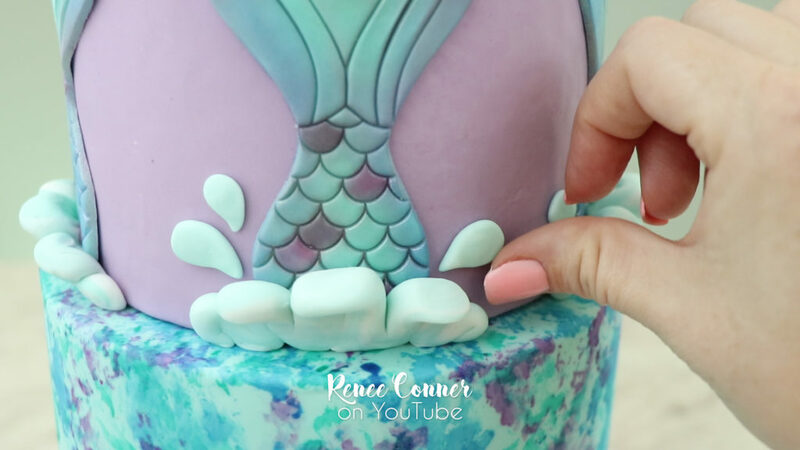 In this tutorial, I show you a fun technique for a cool water color effect, as well as a simple way to color fondant mermaid tails! 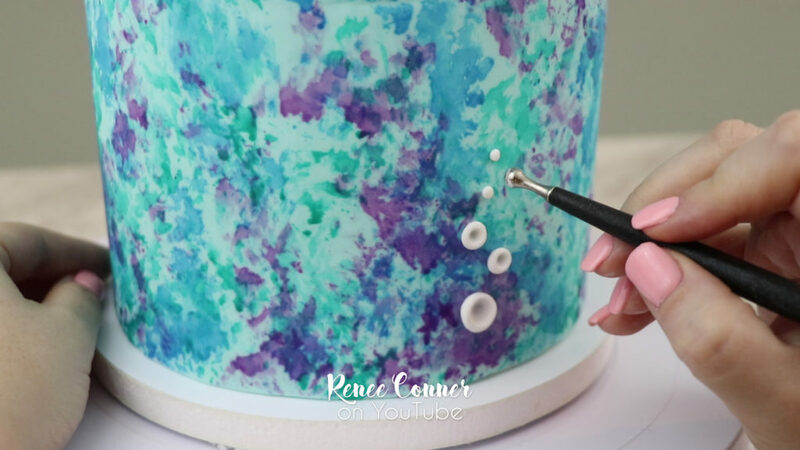 This Watercolor Mermaid Cake is an easy design that even a beginner can pull off. « St. Patrick’s Day Surprise Cupcakes! » Marshmallow Bunnies!